For the British politician, see Helen Hayes (politician). For other uses, see Helen Hayes (disambiguation). Helen Hayes MacArthur (née Brown; October 10, 1900 – March 17, 1993) was an American actress whose career spanned 80 years. She eventually received the nickname "First Lady of American Theatre" and was one of 15 people who have won an Emmy, a Grammy, an Oscar, and a Tony Award (an EGOT). Hayes also received the Presidential Medal of Freedom, America's highest civilian honor, from President Ronald Reagan in 1986. In 1988, she was awarded the National Medal of Arts. The annual Helen Hayes Awards, which have recognized excellence in professional theatre in greater Washington, DC, since 1984, are her namesake. In 1955, the former Fulton Theatre on 46th Street in New York City's Broadway Theater District was renamed the Helen Hayes Theatre. When that venue was torn down in 1982, the nearby Little Theatre was renamed in her honor. Helen Hayes is regarded as one of the greatest leading ladies of the 20th-century theatre. Helen Hayes Brown was born in Washington, D.C., on October 10, 1900. Her mother, Catherine Estelle (née Hayes), or Essie, was an aspiring actress who worked in touring companies. Her father, Francis van Arnum Brown, worked at a number of jobs, including as a clerk at the Washington Patent Office and as a manager and salesman for a wholesale butcher. Hayes's Catholic maternal grandparents emigrated from Ireland during the Irish Potato Famine. Hayes began a stage career at an early age. She said her stage debut was as a five-year-old singer at Washington's Belasco Theatre, on Lafayette Square, across from the White House. By age ten, she had made a short film, Jean and the Calico Doll (1910), but moved to Hollywood only when her husband, playwright Charles MacArthur, signed a Hollywood deal. Hayes attended Dominican Academy's prestigious primary school, on Manhattan's Upper East Side, from 1910 to 1912, appearing there in The Old Dutch, Little Lord Fauntleroy, and other performances. She attended the Academy of the Sacred Heart Convent in Washington and graduated in 1917. Her sound film debut was The Sin of Madelon Claudet, for which she won the Academy Award for Best Actress. She followed that with starring roles in Arrowsmith (with Ronald Colman), A Farewell to Arms (with Gary Cooper), The White Sister (opposite Clark Gable), Another Language (opposite Robert Montgomery), What Every Woman Knows (a reprise of her Broadway hit), and Vanessa: Her Love Story also with Robert Montgomery. But Hayes did not prefer film to the stage. Hayes eventually returned to Broadway in 1935, where for three years she played the title role in Gilbert Miller's production of Victoria Regina, with Vincent Price as Prince Albert, first at the Broadhurst Theatre and later at the Martin Beck Theatre. 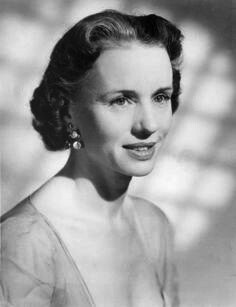 In 1951, she was involved in the Broadway revival of J.M. Barrie's play Mary Rose at the ANTA Playhouse. In 1953, she was the first-ever recipient of the Sarah Siddons Award for her work in Chicago theatre, repeating as the winner in 1969. She returned to Hollywood in the 1950s, and her film star began to rise. She starred in My Son John (1952) and Anastasia (1956), and won the Academy Award for Best Supporting Actress for her role as an elderly stowaway in the disaster film Airport (1970). She followed that up with several roles in Disney films such as Herbie Rides Again, One of Our Dinosaurs is Missing and Candleshoe. Her performance in Anastasia was considered a comeback—she had suspended her career for several years due to her daughter Mary's death and her husband's failing health. In 1955, the Fulton Theatre was renamed for her. In the 1980s, business interests wished to raze that theatre and four others to construct a large hotel that included the Marquis Theatre. Hayes's consent to raze the theatre named for her was sought and given, though she had no ownership interest in the building. Parts of the original Helen Hayes Theatre on Broadway were used to construct the Shakespeare Center on the Upper West Side of Manhattan, which Hayes dedicated with Joseph Papp in 1982. In 1983 the Little Theater on West 45th Street was renamed the Helen Hayes Theatre in her honor, as was a theatre in Nyack, which has since been renamed the Riverspace-Arts Center. In early 2014, the site was refurbished and styled by interior designer Dawn Hershko and reopened as the Playhouse Market, a quaint restaurant and gourmet deli. Hayes, who spoke with her good friend Anita Loos almost daily on the phone, told her, "I used to think New York was the most enthralling place in the world. I'll bet it still is and if I were free next summer, I would prove it." With that, she convinced Loos to embark on an exploration of all five boroughs of New York. They visited and explored the city; Bellevue Hospital at night, a tugboat hauling garbage out to sea, parties, libraries, and Puerto Rican markets. They spoke to everyday people to see how they lived their lives and what made the city tick. The result of this collaborative effort was the book "Twice Over Lightly", published in 1972. It is unclear when or by whom Hayes was called the "First Lady of the Theatre". Her friend, actress Katharine Cornell, also held that title, and each thought the other deserved it. One critic said Cornell played every queen as though she were a woman, whereas Hayes played every woman as though she were a queen. The Helen Hayes Award for theater in the Washington, DC, area is named in her honor. She has a star on the Hollywood Walk of Fame at 6220 Hollywood Blvd. Hayes is also in the American Theatre Hall of Fame. Hayes wrote three memoirs: A Gift of Joy, On Reflection, and My Life in Three Acts. Some of these books' themes include her return to Roman Catholicism (she had been denied communion from the Church for the duration of her marriage to Charles MacArthur, who was a divorced Protestant); and the death of her only daughter, Mary (1930–1949), an aspiring actress, of polio at the age of 19. Hayes's adopted son, James MacArthur (1937–2010), went on to a career in acting, starring in Hawaii Five-O on television. Hayes guest-starred on Hawaii Five-0 in the 1975 episode Retire in Sunny Hawaii... Forever and later, in 1980, both appeared in the episode No Girls for Doc/Marriage of Convenience/The Caller/The Witness of The Love Boat. Hayes was hospitalized a number of times for asthma, which was aggravated by stage dust, forcing her to retire from theater in 1971, at age 71. 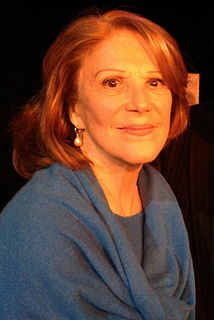 Her last Broadway show was a 1970 revival of Harvey, in which she co-starred with James Stewart. Clive Barnes wrote, "She epitomizes flustered charm almost as if it were a style of acting ... She is one of those actors ... where to watch how she is doing something is almost as pleasurable as what she is doing." She spent most of her last years writing and raising money for organizations that fight asthma. In 1982, Hayes dedicated Riverside's The Shakespeare Center with New York theatre producer, Joseph Papp, and in 1985 she returned to the New York stage in a benefit for the company with a reading of A Christmas Carol with Raul Julia, Len Cariou, Mary Elizabeth Mastrantonio, Carole Shelley, Celeste Holm and Harold Scott, directed by W. Stuart McDowell. The next year Hayes performed a second benefit for the Riverside Shakespeare Company, this time at the Marquis Theatre, the construction of which had been made possible by the demolition of the Helen Hayes Theatre three years before. The production featured Rex Smith, Ossie Davis and F. Murray Abraham, and was produced by McDowell and directed by Robert Small, with Hayes narrating. Helen Hayes at Helen Hayes Hospital in the 1950s. According to her daughter-in-law, HB MacArthur, Hayes took the most pride in her philanthropic work with Helen Hayes Hospital, a physical rehabilitation hospital located in West Haverstraw, NY. She was extremely proud of the strides the hospital made toward the rehabilitation of people with disabilities, saying, "I’ve seen my name in lights on theater marquees and in letters 20 feet tall on Broadway billboards, but nothing has ever given me greater sense of pride and satisfaction than my 49-year association with this unique hospital." Hayes became involved with the hospital in the 1940s, and was named to the Board of Visitors in 1944. In 1974, the hospital was renamed in her honor. She served on the Helen Hayes Hospital Board of Visitors for 49 years, until her death in 1993. In that time, she advocated tirelessly for the hospital and successfully led a fight to prevent its relocation to Albany in the 1960s. In the 1970s, she was instrumental in lobbying for funding to transform the hospital into a state-of-the-art facility. Hayes also contributed her enthusiastic support to hospital events and fundraising efforts, including handing out diplomas to the children upon graduation when the hospital was still a pediatric care facility. She also faithfully attended the hospital's annual Classic Race, leading it in a classic car, handing out awards to runners, hand cyclists, and wheelchair racers, and offering the use of her home, Pretty Penny, for a dinner to launch the hospital's endowment fund. Hayes died on March 17, 1993, of congestive heart failure in Nyack, New York. Hayes's friend Lillian Gish, the "First Lady of American Cinema", was the designated beneficiary of her estate, but Gish had passed away less than a month earlier. Hayes was interred in Oak Hill Cemetery in Nyack. In 2011, she was honored with a US postage stamp. 1910 Jean and the Calico Doll and one subsequent Vitagraph film Juvenile lead Hayes recalled in a 1931 interview with The New York Times that she had played the juvenile lead in two films starring Jean, the Vitagraph dog. Nominated – Emmy Award for Outstanding Lead Actress for a Single Appearance in a Drama or Comedy Series. Costarred with her son James MacArthur (who played her nephew in the episode). In 1973, Hayes was inducted into the National Women's Hall of Fame. In 1979, the Supersisters trading card set was produced and distributed; one of the cards featured Hayes's name and picture. In 1983, Hayes received the Award for Greatest Public Service Benefiting the Disadvantaged, an award given out annually by Jefferson Awards. ^ "Helen Hayes: A Remembrance – Washington Theatre Guide – TheatreWashington – Helen Hayes Awards". Retrieved 22 January 2016. ^ "The Theatre:Helen Millennial" Time Magazine, December 30, 1935. ^ Rice, Jean (March 18, 1993). "Helen Hayes, Flower of the Stage, Dies at 92". New York Times. ^ "Members of the American Theater Hall of Fame". Retrieved February 5, 2014. ^ Brochure of the Riverside Shakespeare Company, 1982, p. 3. ^ a b "Pretty Penny to host Helen Hayes Hospital fundraiser - Lohud Rockland Blog". Retrieved 2017-03-21. ^ Murphy, Donn B.; Moore, Stephen (1993). Helen Hayes: A Bio-Bibliography. Westport, Connecticut: Greenwood Press. p. 153. ISBN 9780313277931. ^ "Miss Hayes and Films". The New York Times. March 15, 1931. Retrieved 2015-11-28. I'm afraid my former career in the movies doesn't mean much, but when I was 8 years old and had just made my first stage appearance, in a Lew Fields musical show, 'Old Dutch', my mother took me over to the old Vitagraph studio in Brooklyn. I had long curls and they let me play the juvenile lead in two pictures in support of Jean, the collie. Jean was the most famous dog of the day and I was very thrilled. ^ "Jefferson Awards FoundationNational – Jefferson Awards Foundation". Jefferson Awards Foundation. Retrieved 22 January 2016. Geraint Wyn Davies is a Welsh-born Canadian stage, film and television actor-director. Educated in Canada, he has worked in his native United Kingdom, Canada and the United States. His most famous role is likely that of vampire-turned-police detective Nick Knight in the Canadian television series Forever Knight. Elsa Viveca Torstensdotter Lindfors was a Swedish stage and film actress, and singer. Regina Annette Taylor is an American actress and playwright. She has won several awards throughout her career, including a Golden Globe Award and NAACP Image Award. In July 2017, Taylor was announced as the new Denzel Washington Endowed Chair in Theatre at Fordham University's theatre program. Lois Arlene Smith is an American character actress, whose career spans seven decades. She made her film debut in the 1955 drama film East of Eden, and later played supporting roles in a number of movies, include Five Easy Pieces (1970), Resurrection (1980), Fatal Attraction (1987), Fried Green Tomatoes (1991), How to Make an American Quilt (1995), Dead Man Walking, Twister (1996), Minority Report (2002), The Nice Guys (2016) and Lady Bird (2017). Alice Ripley is an American actress, singer, songwriter, and mixed media artist. She is known, in particular, for her various roles on Broadway in musicals, including the Pulitzer Prize-winning Next to Normal and Side Show. She most recently played three roles in the short-lived Broadway musical, American Psycho. Alice Ripley has released albums with her band, RIPLEY, including the single, "Beautiful Eyes", released in February 2012. She also performs as a solo artist, while in February 2011 she released Alice Ripley Daily Practice, Volume 1, a stripped-down collection of acoustic rock covers. Jayne Houdyshell is an American stage, film and television actress. Marcia Milgrom Dodge is an American director, choreographer and writer for the stage. 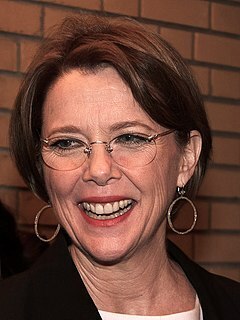 After working in regional theatre, off-Broadway and elsewhere for thirty years, Dodge directed and choreographed her first Broadway production, a revival of Ragtime in 2009. The production received 7 Tony Award Nominations including one for Dodge for Best Director of a Musical. Her Kennedy Center production of Ragtime received four 2010 Helen Hayes Awards including one for her for Best Director, Resident Musical.